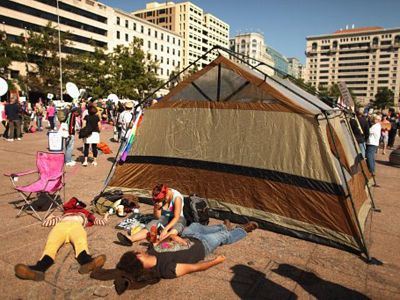 The ‘Occupy Wall Street' protests are gaining momentum and have spread to more than a dozen cities across the US. 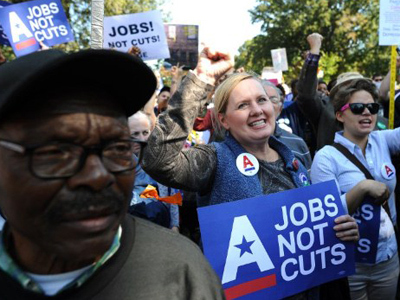 The protesters have come under attack by politicians, with NY mayor Michael Bloomberg claiming they are trying to destroy people’s jobs. Helicopters and heavy police presence have been brought to keep the turmoil under control in New York. According to NYPD Commissioner Raymond Kelly, the protests have already cost the city $2 million in extra security costs. "They're going to be met with force when they do that," Kelly said, as cited by DNAinfo Manhattan local news. "Physical force is going to be used. This is something this core group obviously wanted to have happen." 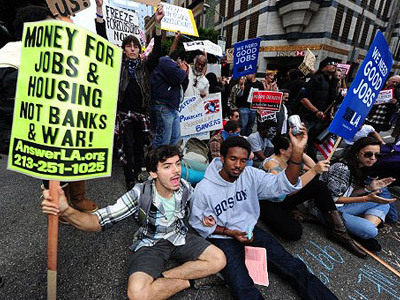 Activists say they are fed up with worsening unemployment and the rule of Wall Street bankers and blame them for causing the recession. This comes as New York mayor Michael Bloomberg severely criticized the activists and claimed that the failure of banks will only lead to more people losing their jobs. 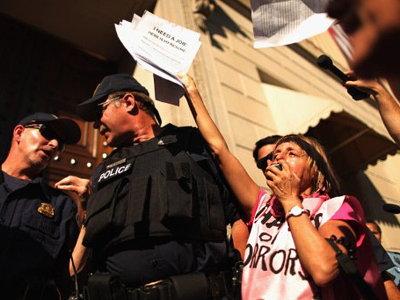 ­But “Occupy Wall Street” protests are more than just a citizen standoff against the big banks. 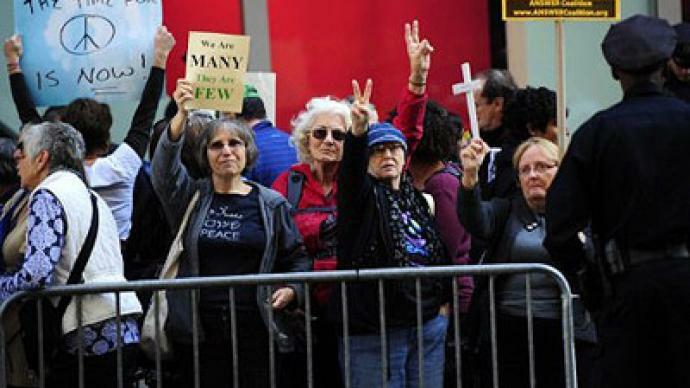 Some of the Wall Street campaigners accuse American news outlets of peddling a view of the US that bears no resemblance to the reality lived by millions of Americans. “Benito Mussolini defined fascism as a collaboration of corporations and government – welcome to America guys,” he says.